The Rooms Art Gallery offers, along with its partners, a maximum of five artist-in-residence opportunities outside of St. John’s each year. 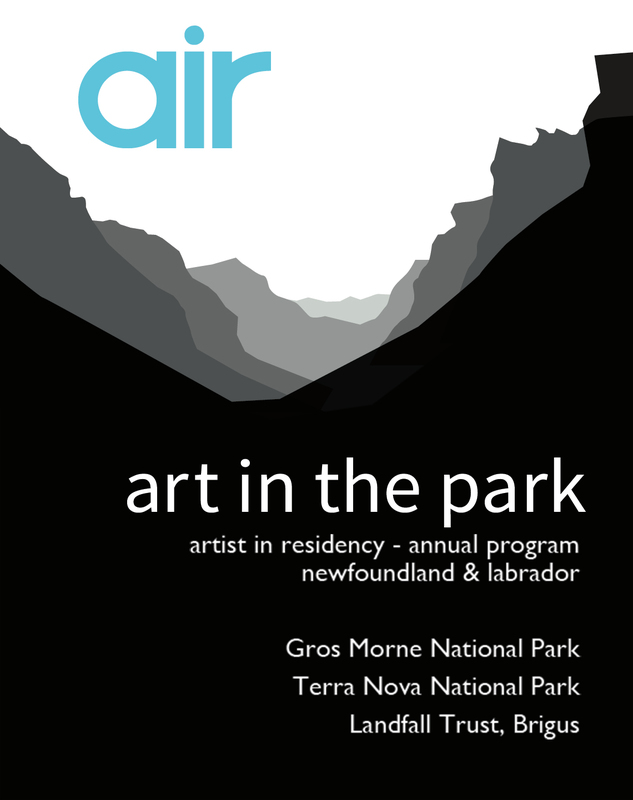 Residencies at Gros Morne National Park and Terra Nova National Park are offered in partnership with Parks Canada. A residency at Brigus, NL is offered in partnership with The Landfall Trust. Artist fees are supported by The Canada Council for the Arts. These residencies offer professional visual artists the opportunity to focus for a concentrated period of minimum 4-6 weeks on developing new projects, or to work on existing projects within quiet, natural surroundings by the Atlantic Ocean. Applications are reviewed once per year by a jury of internal and external curators, artists, educators, and by representatives of the partner organizations. Open to professional provincial, Canadian and international artists with an established exhibition history. Open to artists working in any medium. Located on Newfoundland’s West Coast at Gros Morne National Park, a UNESCO World Heritage Site. (Closest airport: Deer Lake, NL). Two artists may be selected annually. Artists are responsible for their own transportation. A vehicle is highly desirable. Located on Newfoundland’s Northeast Coast at Terra Nova National Park, approximately 2.5 hours from St. John’s. Two artists may be selected annually. Accommodation provided by Parks Canada. Note there is no formal workspace provided. Located in the small community of Brigus, Conception Bay, Newfoundland (about 45 minutes from St. John’s), and offered in partnership with The Landfall Trust, a non-profit committee that operates the historic property where American artist Rockwell Kent resided during the First World War. One artist may be selected annually. Accommodation provided by The Landfall Trust. Note there is no formal workspace provided. More about The Landfall Trust. Statement of interest (500-700 words), including a description of work to be carried out during the residency, what the residency will bring to your practice, and what your perspective will bring to the program. Description of public access to be offered during the residency. Two artists may make a joint application, each submitting visuals and other information, if they are prepared to share the fee and living/working space. These are working residencies; family and friends cannot accompany artists.